Through 12 thought-provoking questions, a philosopher and a scientist explore the real-world ramifications of transhumanism - the tech movement that seeks to improve the human condition through science. Should we enhance the human condition with technology? Does anyone really want to live for a thousand years? Could AI end up destroying mankind? Discover the incredible potential of mankind's near future as a Doctor and a Philosopher debate the big questions surrounding the incredible potential of transhumanism. This movement - that seeks to improve the human condition through science - has fast become one of the most controversial the scientific community have ever faced. As scientists in California make great strides in using advanced technology to enhance human intellect and physiology, the ethical and moral questions surrounding its possibilities have never been more pressing. Should we change the way we reproduce? Could we enhance the human body with technology to the point where we are all technically cyborgs? 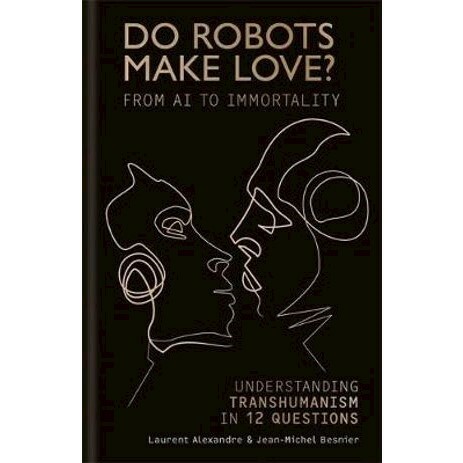 Is it possible to make love to a robot? Doctor and entrepreneur Laurent Alexandre and tech-philosopher Jean Michel Besnier go head to head on the big questions in an entertaining and thought-provoking debate on the fundamental principles of transhumanism. Laurent Alexandre is a French urological surgeon, author, entrepreneur and expert on transhumanism who has written for the Huffington Post and Le Monde. Jean-Michel Besnier is an emeritus professor of Philosophy at the Sorbonne in Paris specialising in the impact of science and technology on human society.